Courses after 12th - Streams, Branches, Eligibility, Duration and etc. Are you the students who passed 12th and in a confused state of mind towards which course have to step forward in these bulk number of courses. Here in this article, you can have a list of courses can do after the successful completion of 12th. One may be interested in something and other may be interested in something like computers, Management, Sociality, Medical and etc. 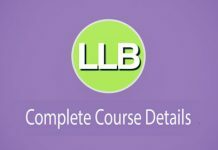 In this course pool, you can select any course of your interest and eligibility. Let us see the list of courses can a student do after 12th. Courses after 12th are listed below. Mainly we are having the following categories in which many of courses hold. As we already known that above are the main streams in these we are having courses and its branches. 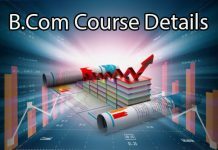 Let us see in detail about these courses. If a particular student wants to do a professional course like B.Tech those students take PCM subjects in +2 usually else if students interested in Medical side those usually takes PCB as their primary subjects. Students who have completed their 12th in PCM subjects are very interested to go for engineering which is Bachelors of Technology (B.Tech). Let us see about the branches in B.Tech. After Engineering, B.Sc. programs are after 12th Science can students choose often. B.Sc. program can complete in the course duration of 3 years. After this graduation, one can go for PG course- M.Sc. It lasts for 2 years. Let us see some of the B.Sc. Courses can do after completion of 12th. Students who have successfully completed their 12th in PCB subjects can study the following courses under medical. In addition to medical courses, there are paramedical courses are related to the allied healthcare sector. Such courses deal with subjects like medical lab technology, diagnosis technology, radiology etc. Unique and exciting courses are provided by this field of arts. In this arts feel we are having a wide range of options from Animation to Cooking. Students who are not interested in Technical or Science courses can go for this management courses after 12th. Let us see some of the management courses. 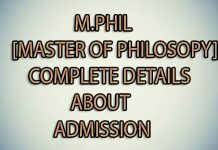 These are courses nothing but if any candidate not interested to take any of the science courses management courses medical courses law courses there are some extra trendy courses can study. The above article which you all the options of courses after 12th. So select a course of your interest carefully chose the best career path.